WEEKLY RECAP: Head to Head is back in business with a good 11-5 to follow a 10-6. Back up to the 89th percentile with a 129-78 record and with just three weeks to go - let's aim for a final tipping percentage of over 65% if it is at all possible. Spread was better than last week's 4-11 at 9-7 but it wasn't particularly good. Still we're in striking range of a 50% tipping rate with the Spread so that has to be the aim. H2H UPSETS PICKED: Stick with the favourites kids... went for 5 upsets in Week 14 and got just Jacksonville on Thursday... the only game I missed was Miami over Pittsburgh, otherwise really I shoulder stuck with the favourites and picked up an easy 12 or 13 tips last week. 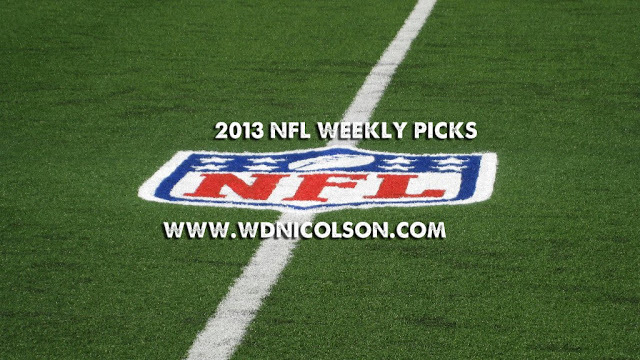 Tipped 1 from 5 Upsets Correct for Week 14 (per Pick'Em favourite/underdog listing). H2H LESSONS LEARNED: San Franciso might be okay if they played Seattle at San Fran next time (they won't), while Dallas and Detroit lost games that may have had a huge bearing on their playoff chances given... well they did and these two lost. Don't pick Houston kids... they want the 1st overall pick, while Jacksonville are working their way out of the Top 3 by winning... Other than that, Tampa Bay proved Buffalo are also also-rans like them, while New Orleans put Carolina in their place. And didn't Kansas City need that win over a dud opponent to get their campaign back on track? Week 15 begins with the last Thursday Night game of the season with San Diego visiting Denver (Friday morning Australian time). Then we'll be able to publish our picks at a more decent time... like Friday lunchtime. TNF: Denver over San Diego; SunF: Atlanta over Washington, Chicago over Cleveland+, Indianapolis over Houston, New England over Miami, Philadelphia over Minnesota, Seattle over NY Giants, San Francisco over Tampa Bay, Jacksonville over Buffalo*, Kansas City over Oakland, Carolina over NY Jets, Dallas over Green Bay, Arizona over Tennessee, New Orleans over St Louis; SNF: Cincinnati over Pittsburgh; MNF: Detroit over Baltimore. Quick Notes: Just two upsets this week with Chicago on the road and Jacksonville at home. That said, I can make a case for Baltimore, Pittsburgh, Washington (with Cousins at QB) and especially Tennessee at home to the Cardinals. But stick favourite side kids. Denver -10.5, Washington +6.5, Chicago +1.0, Indianapolis -5.5, New England -2.5, Philadelphia -4.5, Seattle -7.0, San Francisco -5.5, Jacksonville +2.0, Kansas City -4.5, Carolina -11.0, Dallas (no line), Arizona -2.5, New Orleans -6.5, Cincinnati -3.0, Baltimore +6.0.